1. 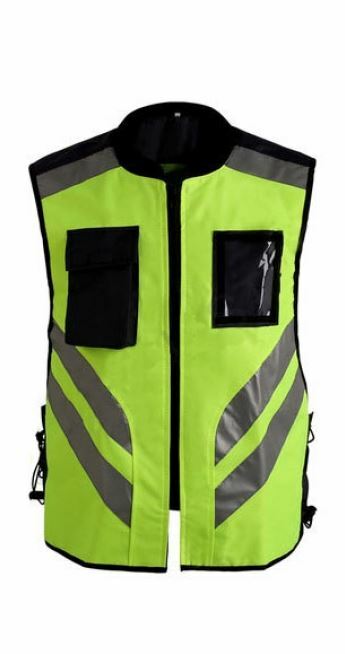 This high visibility reflective sports safety vest is a safe tool for body wich avoids many harm factors on road. It can help you to be seen from dusk through dawn. It is ideal for cycling, running, skating and other outdoor sports, especially in low light conditions. 2. 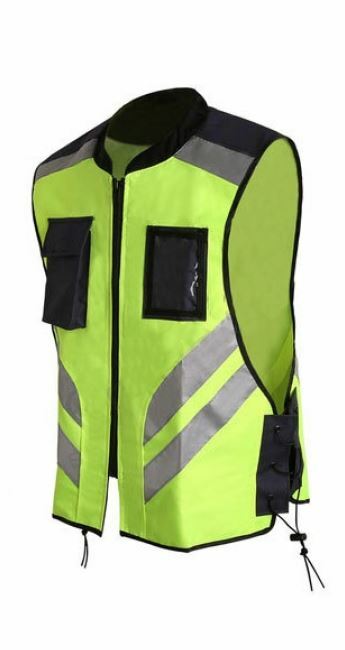 Reflective fabrics on shoulders and at waist increasingly improve your visibility in low light conditions. 3. Easier to organize your items with one transparent ID card pocket, one phone pocket ,one rear medium pockets and inner pockets. 4. Adjustable elastic straps with grommets at the waist with shock cord adjustment offfer maximum adjustability for you in different seasons. 5. Back overhang detail with hidden mesh panel insert for improving breathability. Светоотражающая спортивная жилетка с многофункциональными карман от компании UKOVEX s. r. o., Киеве (Украина). Купить Светоотражающая спортивная жилетка с многофункциональными карман со склада. Цена, фото, условия доставки. Звоните!